A truly rare and unique ingredient from Kyoto prefecture. 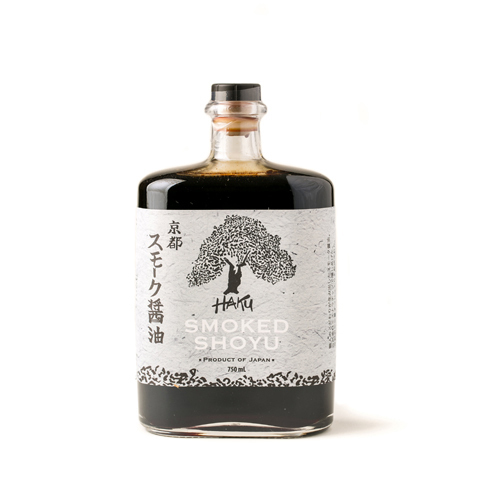 Haku Smoked Shoyu is first traditionally brewed preserving ancestral methods of the Mushiro Koji process yielding an exceptional shoyu. After aging, the master craftsmen meticulously follow a cold-smoking process unique to the Haku family company exclusively using Mizunara Hard Wood, a type of Japanese Oak, which bears a beautiful, lively smoke flavor. Typically used in moderations as a finishing shoyu, Haku Smoked Shoyu delivers a uniqueness and complexity desired by today's finest chefs.